Genetics doesn't work that way. Sure, similar species can breed. That's how you get a liger (Lion+Tiger). But the Indoraptor isn't like a liger. It's a mix of a type of tyrannosaur and raptor. Two very different kinds of animals. It would be more like if you tried to breed a lion with a wolf, instead. It's just not going to happen. The DNA is not compatible. Dinosaurs didn't roar. 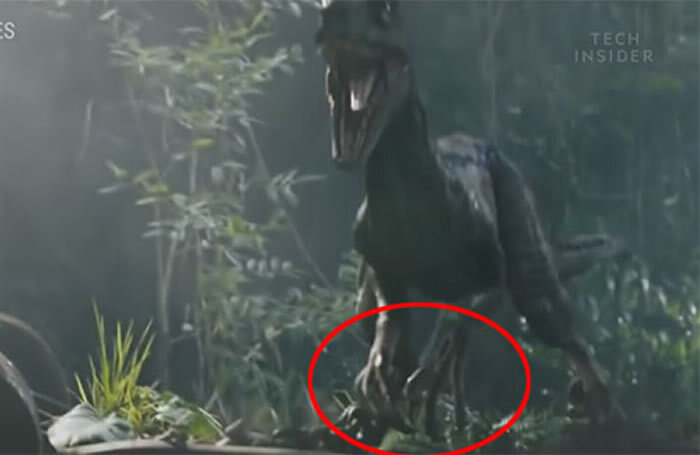 In the first "Jurassic World", T-rex's roar was made from a mix of animal sounds and it sounds pretty similar in the new film. But dinosaurs don't roar like a lion. They're related to birds. Which means their voice box was probably similar to a bird's. Raptors had wings. First of all, raptor hands didn't droop down like that. In reality, that would only happen if their wrists were broken. In truth, raptors, like birds today, had wings. They couldn't fly. 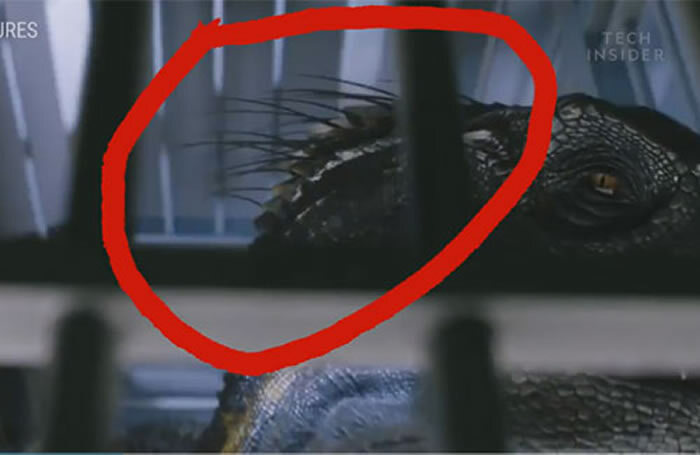 But the wing shape means that their arms looked nothing like this. Dinosaurs were colorful. 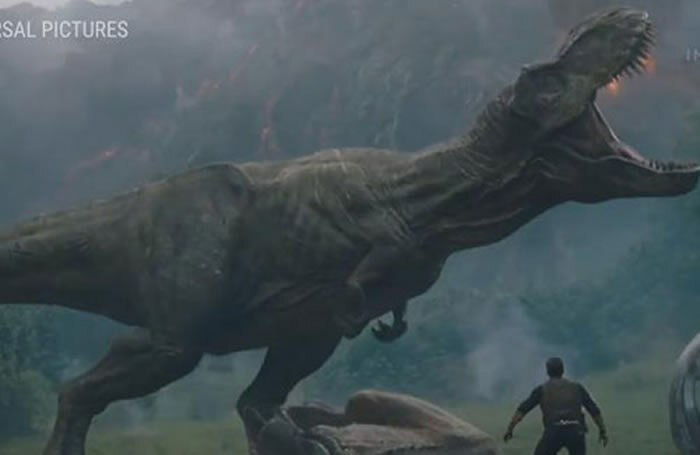 Yeah, "Jurassic World's" dinosaurs are way too dull. Sure, earth tones like green and brown are common in today's reptiles. But paleontologists have found that dinosaurs came in a kaleidoscope of bright colors just like today's birds. Some even had shiny, iridescent feathers!